Speakers and art are generally separate entities. 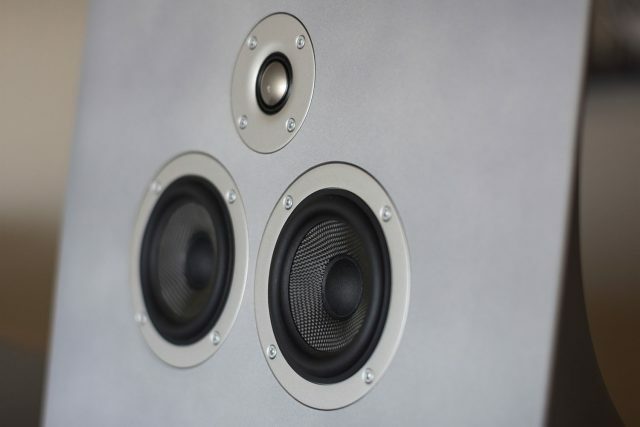 The most important thing about a speaker is how it sounds, with looks being a distant second priority. However, that’s not all a speaker can be. Some speakers are art. The Master & Dynamic MA770 is art, and that’s a bit hard to understand unless you see one in person. Suddenly that $1,800 price tag makes just a bit more sense. Built in partnership with architect Sir David Adjaye, Master & Dynamic MA770 wireless speaker is made entirely out of a proprietary blend of concrete and hand finished to perfection. Concrete is an oddball choice for a speaker but M&D claims that its material blend has exceptional acoustic benefits, like dampening (you can place a turntable right next to it and it won’t skip). It’s true that it can play at a crazy loud volume without vibrating. The finish of the concrete is smooth and beautiful. It’s really a sight to behold, which is not something I say about products often. It’s eye-catching yet subtle enough to fit into most houses, and it’s really something that’s a pleasure to stare at and even to touch. It very much doubles as art. 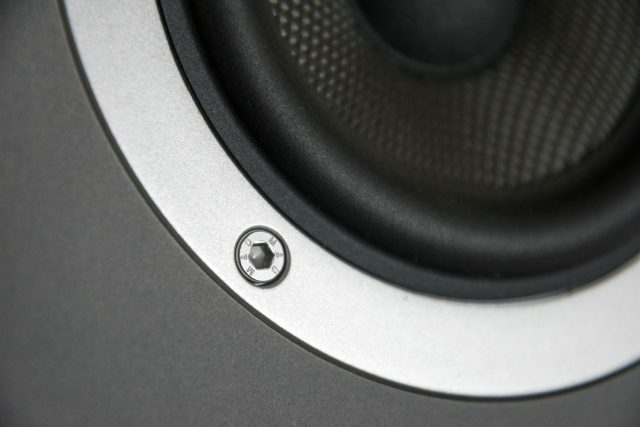 The woofers and tweeters are secured by individual screws, each of which has M&D engravings around the outside. That’s great attention to detail. The panel below is made out of aluminum and has the volume buttons, pause button, and a source button. Near the source button is text for the four sources and a white LED next to each to indicate what source is selected. Included is a magnetic steel grille that you can attach to the front if you wish. It’s both for aesthetics and protection of the exposed drivers, but you can rock the bare speaker if you prefer it. As beautiful as the MA770 speaker is, it has to sound good too. Master & Dynamic doesn’t skimp on sound though. The custom dual 4-inch woven Kevlar long throw woofers are front-firing with a bass port in the back. Above them is a 1.5-inch titanium tweeter. Titanium tweeters are lighter than aluminum, thus performing better on paper. Many would call metal tweeters “bright,” and while this isn’t necessarily a rule, they do tend to generally be brighter. This means that highs will be super clear and detailed at the risk of becoming shrill or harsh. Fortunately, Master & Dynamic has pulled off an awesome high end of the frequency range. The highs are very bright, but they’re beautifully detailed and sharp. Despite being bright, I never found them to be overly harsh after break-in. The highs sounded brighter and maybe even more detailed than the $2,400 Phantom Silver, coming close to the $3,000 Phantom Gold. This focus on bright highs is a sound signature most consumers love, though it’s usually used to give the illusion of clarity. Here, the clarity is ridiculous. You can hear every detail of each song you play, discovering something new every time. The mids and lows produced by the Kevlar woofers are excellent but not quite as impressive. You won’t be feeling much low end punch until you’re going over 60% volume. However, the overall low end is quite good and well represented at any volume. It’s also tight and very accurate, never rumbling or distorting. Though not super powerful, the low end is great and reasonably warm. 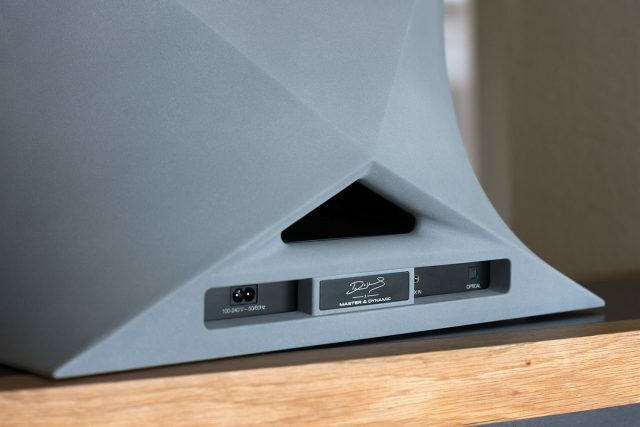 The highlight of this speaker is definitely the high end. The titanium tweeter does some amazing work. Nonetheless, the overall sound is fairly well balanced. It matches Master & Dynamic’s classic sound signature very well: an emphasis on highs and a good balance of mids and lows. The volume of this speaker is ridiculous. Turn it up past 75% and you’ll be expecting it to stop, or start distorting. But there’s no distortion whatsoever, and it gets as loud as the Phantom Silver. At full volume the woofers are moving quite a bit, and the bass gets really punchy and you can finally start feeling it in your chest. Just don’t expect it to shake your house, because that 100W amplifier is simply not pushing enough power for a big rumble. Even at full blast there is generally no distortion. The MA770 excels for casual listening as well as blasting at full volume. I definitely wish the low end punch was stronger to match the beautiful highs though, as below 60% volume the lack of punch makes the music feel a bit empty in the low end and this is where the speaker will spend most of its life playing music. This is no trouble at higher volumes though. It’s a surprise how much sound M&D managed to squeeze out of 100 watts and a chunk of concrete. Keep in mind that the speaker won’t sound perfect from day one. It’ll start off shrill and harsh, lacking low end and detail. The drivers need some time to break in, and over the course of the first 10 hours of use, the sound will get warmer and the harsh tones will go away. And hey, if you want stereo sound with better separation, you can wirelessly hook two of these up and use them at the same time via the built-in Chromecast! 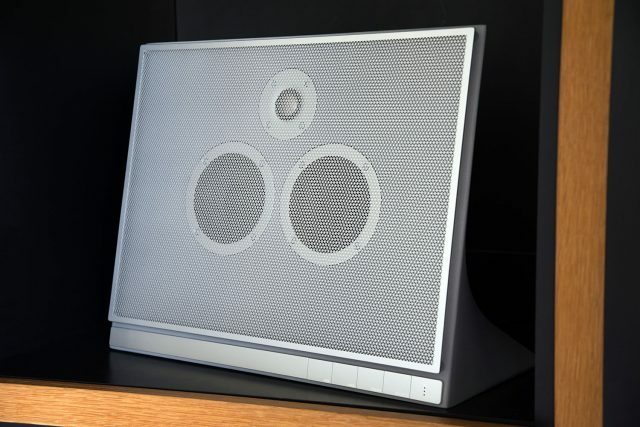 The key feature of this speaker is the integrated Chromecast. 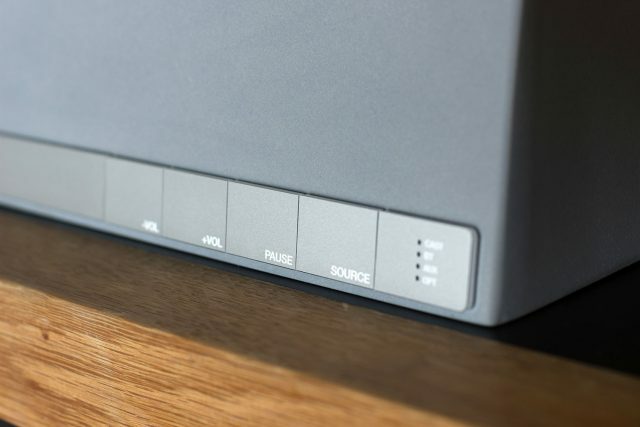 Most speakers rely on Bluetooth, and though the MA770 has Bluetooth, it’s not the way you should be listening to music. As great as Bluetooth is, it’s very flawed and has a relatively short range and inferior sound quality. The Chromecast allows you to cast music from your favorite app directly to the speaker without having to worry about keeping your phone close by. It’s just so simple and elegant. You can also ask your Google Home to play music through the MA770. Many high-end speakers have proprietary apps that require local music, so seeing such a consumer-friendly feature is a huge breath of fresh air. If you really want to use Bluetooth, you have that option. You can also use hard wired connections like 3.5mm and optical, switchable via the “Source” button on the front. Unfortunately, you’ll have to get up to switch the source if you want to go from Chromecast to optical to watch a movie. Strangely, 3.5mm and optical cables are not included. It’s a shame because M&D cables that come with their headphones are magnificent. Let’s ignore sound for a second. This thing is akin to a decoration, a piece of art. Covering the sculpted rear is a real shame, but the front is so beautiful and eye-catching. Even when it’s not playing music it just looks great and accents a living room beautifully. Is that odd to say about a device that’s meant for playing music? Extremely. It might even be bordering on pretentious. But this is the kind of product that’s more than just a speaker. 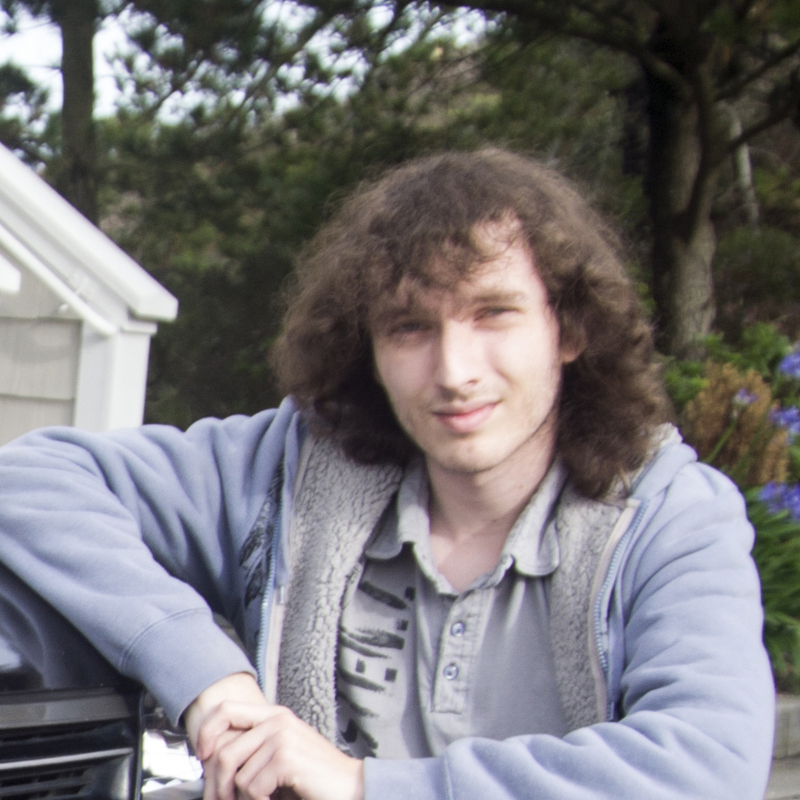 Not everyone will agree or care, but it’s important to point out how much work went into its aesthetic design. Not to worry though, because the Master & Dynamic MA770 is an awesome speaker. It’s easy to use thanks to the built-in Chromecast, versatile thanks to the four inputs, and unbelievably loud. You can use it for parties as background music or for rocking out to your favorite music at full volume, as long as your neighbor’s walls are far enough away. That’s my favorite part about the speaker. It’s versatile. It can be used for both casual listening and going all out. It’s an expensive product. If you want the ultimate sound, you can absolutely get better for the price. 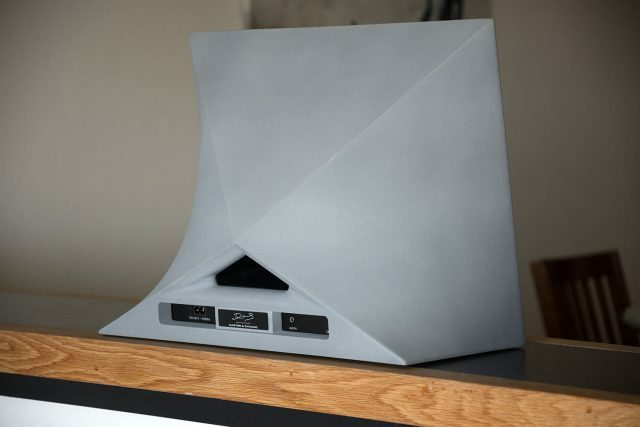 But if you want an amazing speaker that’s easy to use and looks gorgeous, this is the one. You can pick one up in the natural concrete color or in a deep black right here.